Oh, Burbs. You make such pretty makeup. You really do. Although I haven’t tried too many things from the line, what I have tried I have really enjoyed. It’s definitely time to explore in a little more depth the rest of the brand, but I have three things which are well worth checking out if you’re new to the brand. 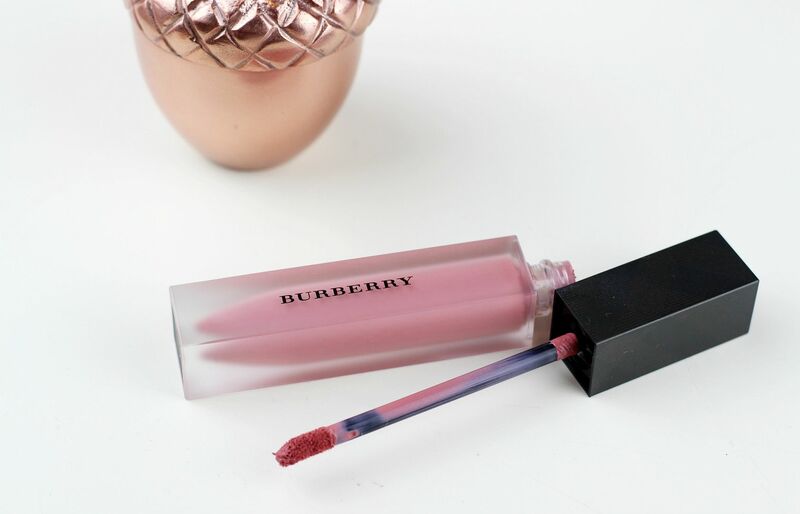 From their silky-soft shadows to their newly launched liquid lipsticks, I am all about the Burberry beauty. You know I can’t resist a good liquid lipstick! When I saw that Burberry was coming with some new ones, I was all over it. I think every brand has basically come out with their version of this now, but I am a fan of Burberry lipsticks. It’s claimed to last for up to eight hours, which I would disagree with… I’d say it lasts about 4 hours on me, and isn’t food/drink proof. The texture is really love though, and feels really creamy and comfortable on the lips and definitely doesn’t leave your mouth feeling dry. It’s also easy to reapply the colour without it going patchy or crumbly. I’ve got the shade Fawn Rose which is all kinds of lovely and a perfect petal pink. 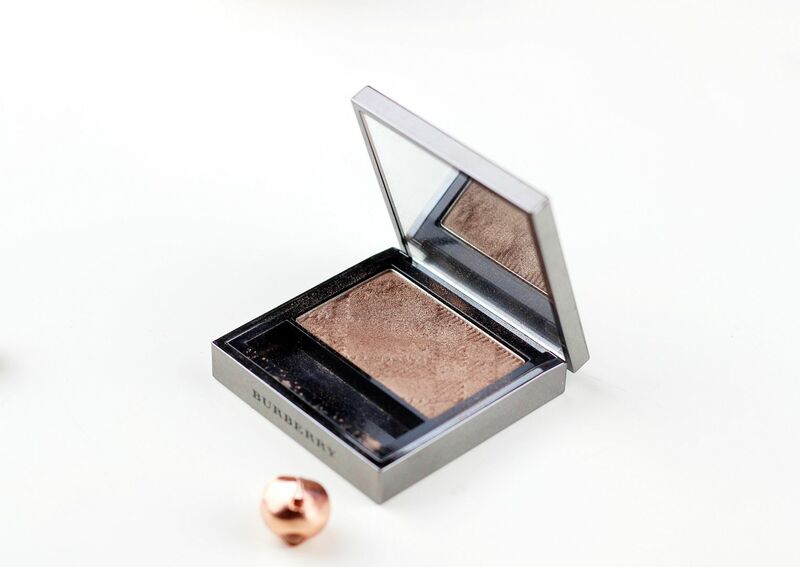 The blogger favourite, this shadow is talked about a lot but for good reason! It’s so easy to just sweep this all over the lid and be done; who doesn’t want that in the morning in a rush? The shadow has a slight sheen to it without being shimmery and it is so flattering on the lid. I love this one especially for making me look polished, and all ‘I‘m so low maintenance’ in the best possible way. I’ve tried a palette as well, and the formula is nice and creamy – a little powdery but really blendable. I wish you could smell this, because it’s got such a floral makeup scent that it just makes me happy whenever I use it – it’s a little bit rosy and a little bit violet and a lot of powdery freshness. 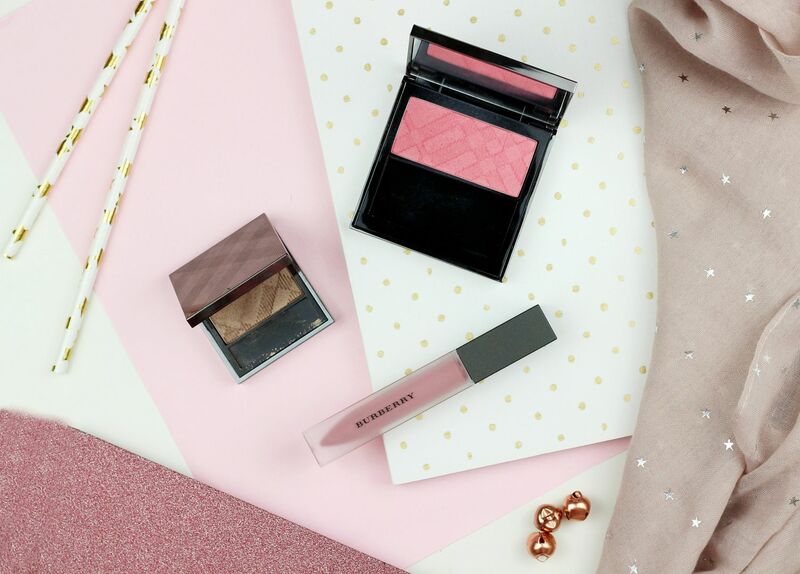 The shade I have, Peony Blush, is a gorgeous flush of brightening pink. The formula is sheer and so blendable that it’s pretty much fool-proof and it’s one of those formulas that you can’t detect on the skin. 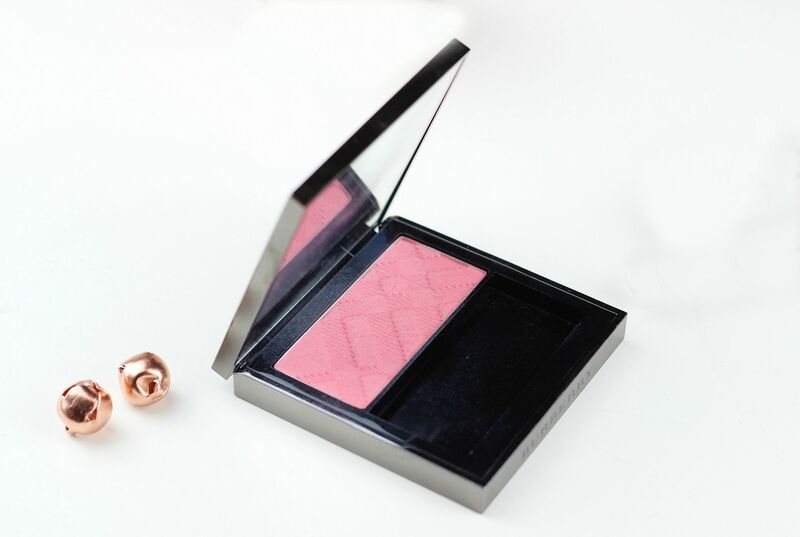 This blush with the liquid lipstick is making me very happy right now! Have you got any Burberry favourites?